Xiaomi Mi Max 3 has a metal body, the fingerprint sensor on the back. 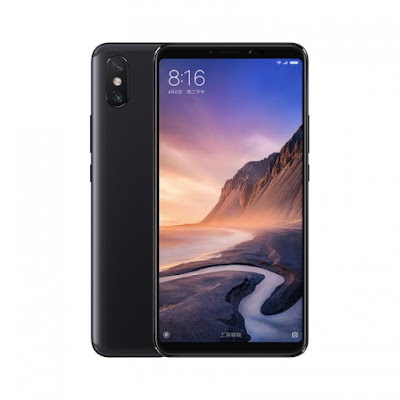 It features a 6.99-inch Full HD+ 18:9 aspect ratio screen be powered by a 1.8GHz Octa-Core SoC with up to 4GB of RAM and 64GB of internal Storage and 6GB RAM with 128GB Storage options. Dual SIM device runs on run Android 8.1 (Oreo). On Camera, It has a 12MP rear camera with Sony IMX363 sensor, 1.4µm pixel size, f/1.9 aperture, Dual PD focus, LED flash, 5MP secondary rear camera and 8MP front-facing camera with soft LED flash. Connectivity options include Dual 4G VoLTE, Wi-Fi 802.11ac (2.4 / 5GHz) MIMO, Bluetooth 5, GPS + GLONASS, USB Type-C. Packed with a 5500mAh battery with support for Qualcomm Quick Charge 3.0 using bundled 18W charger. Xiaomi Mi Max 3 comes in Meteorite Black, Dream Gold and Dark Blue colors priced at 1699 yuan for the 4GB RAM and 1999 yuan for 6GB RAM with 128GB storage. It will be available in China starting from July 20th.